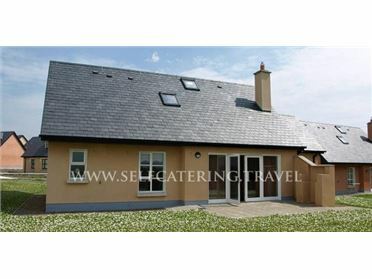 Clonandra Cottages is located on 25-acres of private grounds nestled on the edge of a coarse-fishing lake over looking Lough Garrow. Our 4 star FÃ¡ilte Ireland approved accommodation is modern, well appointed and up-to-date, with one of the cottages catering for disabled access together with wheelchair accessibility to toilet and shower. The cottages are warm and inviting with panoramic views overlooking Lough Garra together with open turf fires and oil-fired central heating. Clonandra Cottages is definitely the location for discerning people looking for peace and tranquillity to sit back and unwind in front of an open log fire or perhaps jump inside our onsite 8 person communal hot tub & sauna. Clonandra Cottages offers the visitor an array of exhilarating outdoor activities. You can enjoy a round of golf on one of many courses, including the renowned championship course at the Slieve Russell Golf & Country Club. If golfing is not your thing you can hire a cruiser or a barge and take a leisurely sail down the renowned Shannon-Erne Waterway. Cyclists can enjoy the Kingfisher Cycle Trail while walkers will delight in exploring The Cavan Way, The Burren or The Shannon Pot, the source of the River Shannon. Clonandra Cottages is located in the middle of a beautiful countryside, which can also be enjoyed from horseback, with excellent riding schools conveniently located at Ross House Equestrian Centre, Mount Nugent or Redhills Equestrian Centre. If you prefer something more leisurely why not spend a relaxing day at Killykeen or Dun-Na-Ri Forest Parks and go nature or bird watching, canoeing, sailing or picnicking, to name a few. There are six cottages in total - one 5 bedroom/3 ensuite, which sleeps 10+ and is completed to a luxury standard. One 4 bedroom/ sleeps 8 - 10. 2 two bedroom/ sleep 4.